Cycling holidays in South Africa. We also arrange Guided holidays. You can expect a perfect mix of excellent service, high quality and value for money. A holiday that will inspire you. 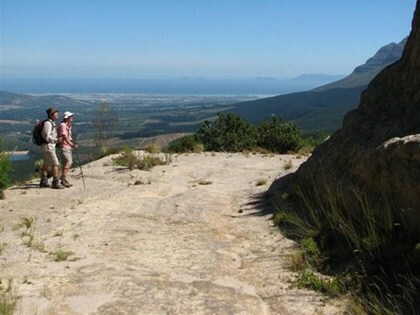 Our self-guided walking holidays and cycling holidays in South Africa offer scenic and interesting routes. You will have detailed route notes, luggage transfer, quality accommodation and 24/7 support. Our tour package is flexible. A range of options can be added to the basic itinerary to ensure that the holiday is tailor made for your personal requirements. 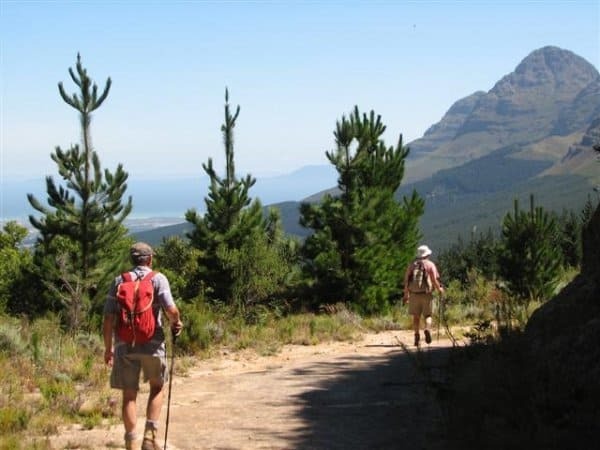 Our walking holidays and our cycling holidays involve itineraries in scenic areas which cater for a variety of interests. We try to ensure that no two days are the same to ensure that your trip is varied and interesting. The walking holiday and cycling holiday is self-guided and we make sure that you have the necessary detailed route information. Detailed route maps and notes will allow you to journey at your own pace, carrying only a small day-pack. GPS co-ordinates are provided in our Route Guide. In most cases a presentation by an expert about a special feature of the route is included in the program. Your luggage will be transported. You will spend each evening in a hotel or guesthouse along the route, selected for quality and convenience. Accommodation will include breakfast. Other meals as well as drinks will be for your own account. Arrange with your hotel/guesthouse for a lunch pack of your choice for the following day. We disclose full details of our accommodation providers to ensure that you can assess the quality and standard. It is generally by way of a link to the websites of the different hotels/guesthouses on our panel. Typically the morning starts with a leisurely breakfast, a chance to peruse the directions and familiarise yourself with the route on the map. When you are ready, you depart from the hotel along an inviting path. There is enough time to travel at your own pace, pausing whenever you want to admire the views, to study the flowers or birds, or to visit a point of interest, eg. a wine estate. Linger over your picnic lunch at a panoramic spot, and then continue on your way. Your charming hotel/guest hous will mark the end of a rewarding day. We plan our hotel-to-hotel routes so that you typically arrive at your next hotel during the mid to late afternoon. There will be time to freshen up and explore the area before a dinner of regional cuisine. A local 24/7 back-up service is on hand to help with general information, or problems and emergencies. We allocate Grades to our walking- and cycling tours, according to the length of the trip and the terrain. This serves as an indication of holidays that might suit you best, based on your level of fitness. We allocate a grade to each day of the trip, as well as the overall route. We use 3 grades: Easy, Moderate and Challenging. We operate with a flexible approach to our holidays. Please enquire if you require longer or shorter periods – it may be possible! In some cases it is even possible to add extra activities like cycling, walking or horse riding to the program. If it is your first visit to South Africa we can combine our routes to offer a 14- 21 day holiday, incorporating the highlights of different areas. All the information required for decision making about our routes (Except the detailed Route guide) is provided on our website. The complete Route guide, including route- and area information, will be provided on arrival. Any further information is available on request. 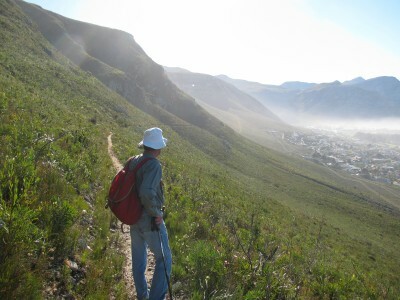 Please Contact us, or e-mail info@trailsandtravel.co.za. 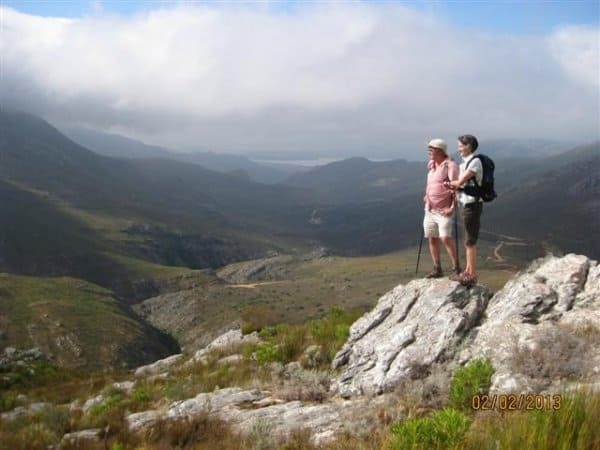 We shall endeavour to reply within 24 hours to any questions about both our walking holidays and our cycling holidays in South Africa. We have been involved in business for more than thirty years at senior executive level. Our approach is to plan a trip meticulously for you to experience the most idyllic scenery, the friendliest and most welcoming hotels, the tastiest regional cuisine, the most scenic trails and the most outstanding features of the region. Our detailed route notes reflect this approach and in addition you will enjoy our attentive service and support while on holiday. 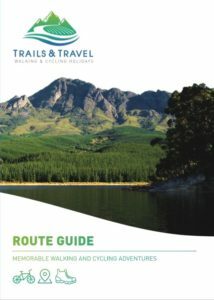 Trails and Travel CC is registered in South Africa. Our business address is 9 Sauvignon Park, Smuts Avenue Somerset West, 7130, South Africa.